An arrest on drug charges can be a pivotal moment in a person's life. 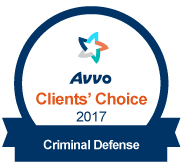 When your employability, financial security, and perhaps even your freedom are on the line, it is critical you choose a skilled criminal defense lawyer who will fight for you through every step of the legal process. 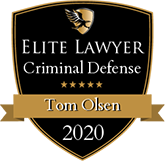 By selecting Olsen Law Offices, P.C., L.L.O.., you get Nebraska's premier defense attorney in Tom Olsen, a Former Assistant State Attorney General and Assistant Omaha City Prosecutor. Attorney Olsen's three decades of trial experience and his aggressive negotiation skills give you a distinct advantage at this critical juncture, whether you were arrested on marijuana, methamphetamine, heroin, or cocaine charges. Interstate 80 in Nebraska has turned into a 455-mile-long fishing expedition for police, who are often overaggressive in targeting drivers for potentially transporting large loads of legally purchased cannabis from Colorado or other states. They often tail a vehicle (especially rentals and those with out-of-state plates) until the driver makes a slight mistake. By subjectively claiming suspicious activity, they call for a drug dog search, and if the K-9 confirms drugs on board, an arrest and either state or felony charges are sure to follow. If you have been charged with possession with intent to distribute, drug manufacturing, or drug trafficking, contact Attorney Tom Olsen as soon as possible. Attorney Olsen has helped thousands of clients attain positive results in drug cases, including some involving over 1,000 pounds of cannabis. With your future at stake, you want him by your side. While a drug arrest is frightening for an in-state resident, it is more terrifying for out-of-state residents. Attorney Tom Olsen works tirelessly to alleviate much of the uncertainty and stress by securing bond terms which let an individual go back to their home state after their release. He also seeks waivers for initial hearings so he can appear on a person's behalf and enter their plea. One of his primary goals is to limit court appearances until a case enters its last stage, which usually means either a plea agreement or a full dismissal because of police misconduct, including illegal search and seizure. In drug possession cases, Attorney Olsen strives to keep them in county court instead of state or federal courts. This is done by having a charge dropped down to a misdemeanor via negotiations with prosecutors, many of whom have either worked with Attorney Olsen in the past or are familiar with his reputation. 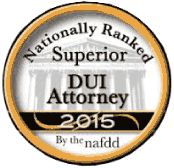 Attorney Olsen has helped clients from all over the continental United States achieve favorable resolutions in narcotics cases. If you are from outside Nebraska and face a drug allegation, call him immediately. 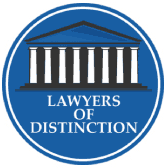 Olsen Law Offices, P.C., L.L.O.. is ready to begin your defense today. 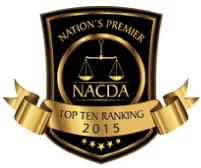 For a free consultation, contact a North Platte criminal defense attorney at 402-598-5789. We are here 24/7 to help you and serve clients in Aurora, York, Buffalo County, Grand Island, Hall County, Papillion, Dawson County, Lexington, Kearney, Hamilton County, York County, Seward, and Sarpy County.